Brian Tracy, one of the best sales trainers in the world, says that 50% of salespeople don’t ask for the sale. Jack Canfield, of mega-phenom Chicken Soup fame puts the number at 60%. 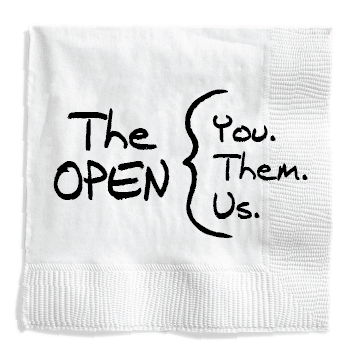 With that said, we are convinced that the OPEN, not the CLOSE, makes the SALE. If sales is defined as the forging of a human connection, then skipping the open means skipping the human connection! I’m Nick. As you can see from my title, I’m a major gifts officer and so I’m coming to talk to you about money. Instead, talk about: Who are you? How did you get here? What makes you passionate about this work? I’m looking forward to our conversation, would it be okay if I share a little about myself to start? This works whether you are brand new or the founder of the organization – the prospect just needs to know you as a human being. Knowing as much as you can about your prospect is great preparation for a visit. But you need to hear the prospect talk about themselves, in their own words:I can google you (and did) but it would be even better to hear you tell your story. I’m so happy that (Board Member/Champion) made this introduction. As I said in my note, I’m really excited to share our story/vision and talk to you about how you can help us make it happen. I know that (Board Member/Champion) thought it was important for us to meet. Could you tell me what you already know about our organization (or our impact)? It’s a VISIT, not an appointment. Talk about yourself and ask about the prospect. Then you can move to the purpose of the visit.